The American Red Cross provides more than disaster relief. Do you know the important facts about American Red Cross? 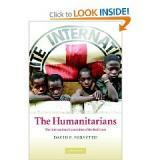 You are likely familiar with the red cross on the white background, the symbol of the humanitarian organization. The American Red Cross is a part of the International Red Cross. The Red Cross features prominently in blood drives and disaster relief during events such as 9/11, hurricane recovery and more. But did you know that the Red Cross predominantly helps families affected by more basic disasters like house fires? The American Red Cross provides disaster relief recovery for families and communities. Chapters are organized in communities all over the country. Staffed primarily by volunteers, the Red Cross Movement provides educational, monetary and medical supplies in order to provide relief to people affected by natural disasters. For 24 hours per day, 365 days a year, the American Red Cross provides relief for families and communities in the form of blankets, food, blood and shelter. Volunteers provide these services for American people free of charge. These services and gifts include clothing, shoes, shelter, food, medical supplies and treatment are the very definition of humanitarian aid from one group of humans to another. 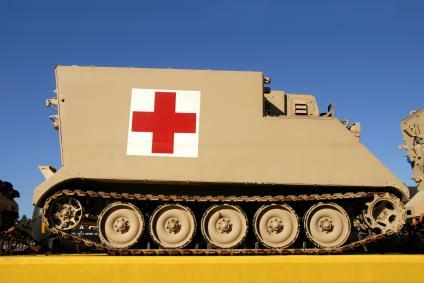 A primary function of American Red Cross aid is to act proactively when disaster looms. Chapters across the country and around the world work to keep the public educated and prepared when disaster approaches. When Hurricane Katrina threatened New Orleans, the Red Cross mobilized to set up emergency relief shelters providing water, food and communications for families trying to locate loved ones. Blood drives are held frequently in order to provide resources for victims of fire, flood, hurricane, tornado and more. The Red Cross raises funds and distributes food, groceries, household items and more to provide relief where relief is needed. The chapters work diligently to monitor relief efforts and work cooperatively with other relief societies in their relief efforts. The American Red Cross is not a formal government agency; however the U.S. Congress did charter the agency in 1905 to provide "national and international relief in time of peace and apply the same in mitigating the suffering caused by pestilence, famine, fire, floods and other great national calamities, and to devise and carry on measures for preventing the same." The Red Cross was founded in 1881 by Clara Barton. It is a humanitarian entity that provides approximately 45% of the nation's blood supply. The organization is celebrated in March of each year. President Franklin D. Roosevelt issued the proclamation declaring it in 1943. The organization supports more than 1,000 organizations across the U.S.
A goal of having one person per American household trained in CPR and first aid. Want to Help the American Red Cross? Volunteers and donations are always in need. You can help provide disaster relief before a disaster looms by contributing of goods, services or money. The American Red Cross Disaster Relief Fund accepts donations year round. Contact your local chapter to see what donations are most in need or to volunteer your time and efforts.